This made me laugh so much I had to watch it over again. Military training isn’t really something that can make you laugh, because that’s some serious stuff these people are doing. However, this particular one is a bit different from the rest because the trainees welcomed a very special guest. 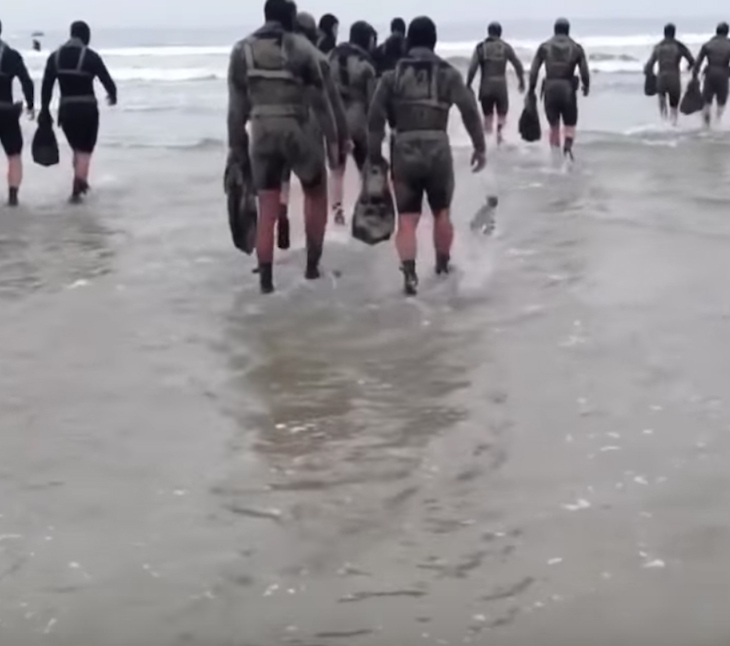 While the navy SEALs were in the middle of their training, a new member joined the group. It was actually a real seal that was excited to spend the day with her fellow SEALs. The video is so amusing and unusual that it will certainly bring a smile to your face. The seals are known for their enthusiasm and their resemblance with the man’s best friend. Actually, the word seal is translated in many languages as – a water dog. So no matter if you choose to call it a dog mermaid or a water puppy, it can be your new friend at the open sea. This little cutie is thrilled because he believes all those people are there to hang out with him. We are happy that one of the officers could film the whole thing and share it online. 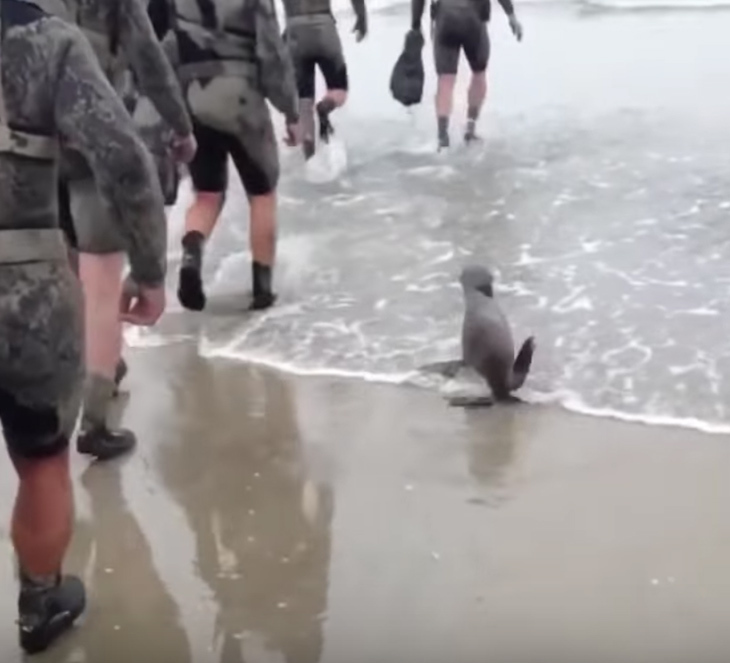 The video shows the baby seal flopping along the beach and then going into the cold water accompanying his new friends. It seems like their spirit animal came to keep them safe on their journey. Take a look at the fun video below and share it to spread some laughter among your friends. Previous articleHe Started A Job On His Birthday With The Worst Boss Training Him. She Was So Mean, But Some Strangers Turned Everything Around With This.